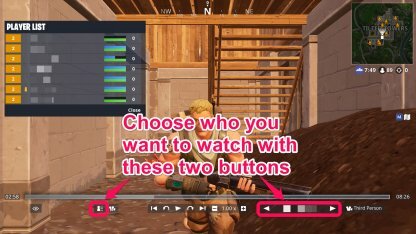 This guide will discuss different uses of Fortnite Battle Royale's replay system, as well as its controls & how to find the replay. Learn from replay mode to get the Victory Royale! 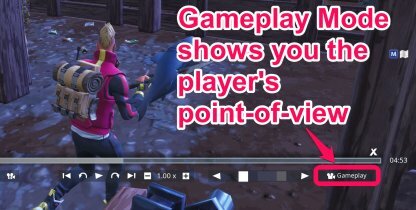 What Are The Replay Controls? 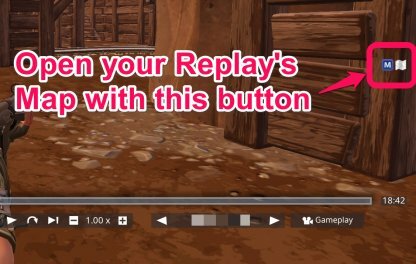 The Replay tool is a feature in Fortnite where you can re-watch your past matches! 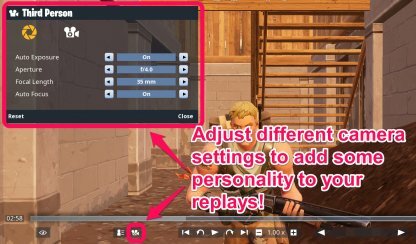 Here are some things you can use the replay feature for. Have you ever lost a match, and couldn't figure out how you lost? Check the replay to see what just happened! There could have been someone hiding behind a bush that you didn't notice! 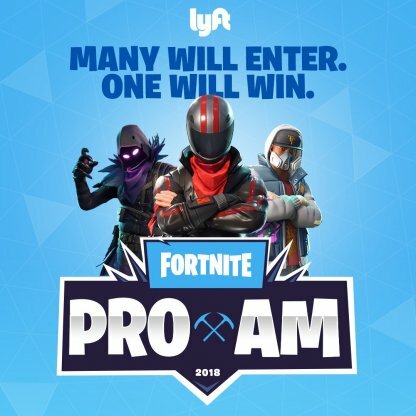 Check Out the Tips & Tricks to Win! Watch And Learn From The Pros! 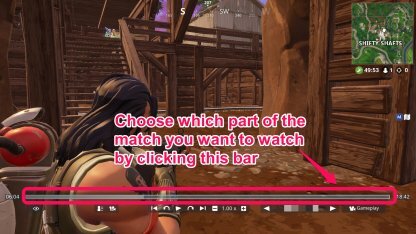 Occasionally, Fortnite will allow players to watch match replays of Professional Players for a limited time. Use this opportunity to see what the Pros do differently, and get good! Find out all of the Map's secret areas, hidden treasures, and more! By the time a new "Search between" challenge comes out, you'll know exactly where to go! Did you just make a really awesome play, but no one believes you? Load up the replay, and show everyone your epic moves! Want to show the world a cool picture from the game? Open the replay, hit pause, and fix up your camera angles before hitting that screenshot! 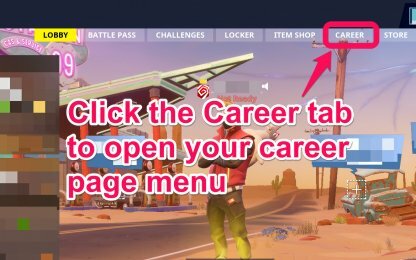 From your lobby, click on the career button to bring out your career tab. From your career tab, click on the replays button to access your replays! The files that you see are replays of your matches; the most recent match being the top. 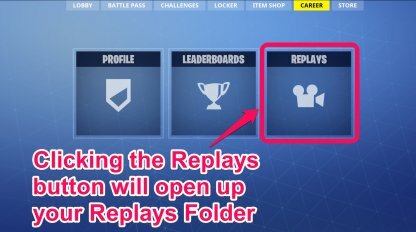 Double click on any of the files to begin watching your replay! Note: These replays are unsaved, and will be deleted after a certain amount of time. To save your replays from deletion, click on a replay to highlight it, then click on the Rename and Save button. 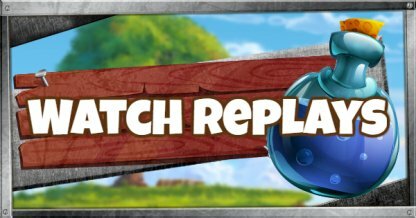 Replays from previous versions will not work with the newer version of the game so it's best to record your favorite replay before it goes out of date. 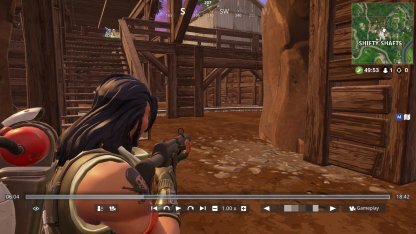 While watching your replay, you will notice that there is a HUD on your screen. What does each button mean? This section will discuss the different buttons, and their uses. Fast-forward, rewind to a different time in the match, play, pause, and adjust the playback speed of the replay. Use this to pinpoint the exact moment of the replay that you want to view. Pinpoint the exact time an event happens, such as the moment you first encountered an enemy, or even the moment you got eliminated! These buttons allow you to cycle through and choose which players you want to watch, including yourself. Learn from both you, and your enemy's mistakes and triumphs! Adjusting the Aperture of the camera allows more, or less light into your screen. Adjust the aperture to change the feel of your scene! Turning on the Auto-Exposure will adjust the balance of lightness, and darkness, from your screen. The Focal Length will change how much of the scene your camera will capture. The higher the "mm" is, the more "zoomed-in" the camera will be! Just like the name, turning this on will automatically focus your scene! No more blurred parts of your photo! 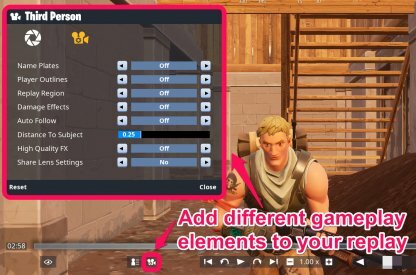 Adjusting Video Toggles will add different elements such as player tags, outlines, and more. 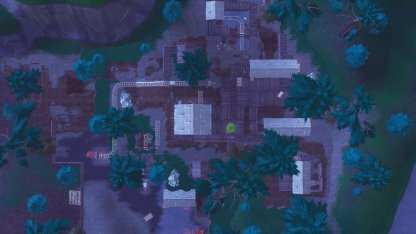 Use this to see if there were any other players in your area that you may have overlooked, and learn from your mistakes! 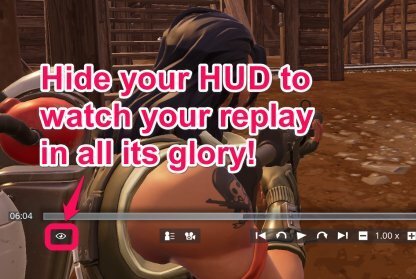 In order to give a completely cinematic feel to your replay, hide your HUD using this button, and watch the action in all its glory! Opening your map will show you where you are exactly on the map. Take notes of your exact location when reviewing your footage! Here are the basic controls for working with your camera. Do you feel that the third-person camera angle a bit boring? Worry not! Clicking the Camera Mode button will allow you to choose from 5 different camera modes! 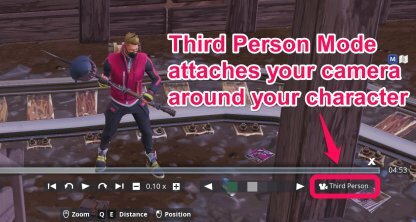 Third Person Mode will attach a camera around your character. Use this to look around corners that you may have missed! 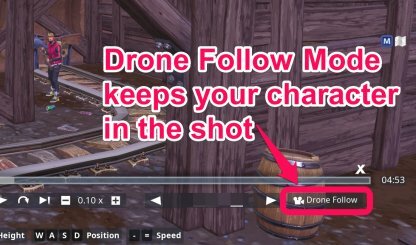 Using the Camera in Drone Follow Mode will turn your camera into a drone that can fly around the scene. 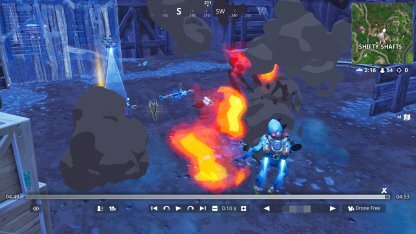 This mode will always keep your character within the frame, so you can keep track of where you are! 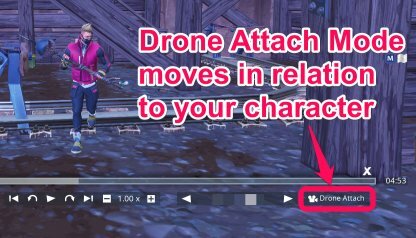 Drone Attach Mode will attach the camera around your player. The camera will mirror your player's movements, so if your character moves forward, the camera will move forward in relation to your player! 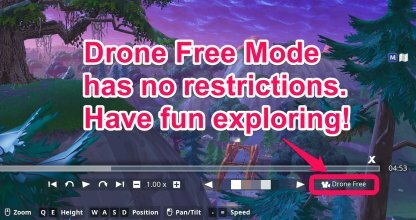 Drone Free Mode will let you explore around the map without any restrictions! Happy exploring! Gameplay Mode will show you exactly what your player saw during the game. Use this if you want to review an area of your game that you believe you need to improve!